Here are some long-term issues confronting the James Bond film franchise that extend beyond purchased helicopters or even the next 007 film (whenever it comes out). MGM needs to get bigger or sell out: Metro-Goldwyn-Mayer, Bond’s home studio, is in a no man’s land in Hollywood. It’s not big enough to release it’s own movies. In fact, it’s more of a television production company than an actual studio. What few movies it makes annually require cutting deal with another studio to distribute. The last four 007 films were released by Sony, with other MGM projects released by other studios. Time Warner, which includes Warner Bros., has agreed to be acquired by AT&T. If that deal receives U.S. regulatory approval (not a sure thing), other deals may result. That leaves MGM to decide whether it’s present strategy is adequate. If a new wave of deals develops, MGM probably has to move one way or another — get bigger or sell off to a buyer. Eon’s succession plan: Eon is a private outfit that doesn’t discuss such subjects. Maybe it has one, maybe it doesn’t. Regardless, it needs a succession plan if it doesn’t have one. Michael G. Wilson, one of the Eon principals, turned 75 last month. His half-sister, Barbara Broccoli, is only 56. But, as the saying goes, nobody lives forever. Perhaps Gregg Wilson, one of Wilson’s sons who has been working on recent films, is being groomed to take more responsibility once his father retires. At this point, nobody really knows. Is it time for new marketing ideas? 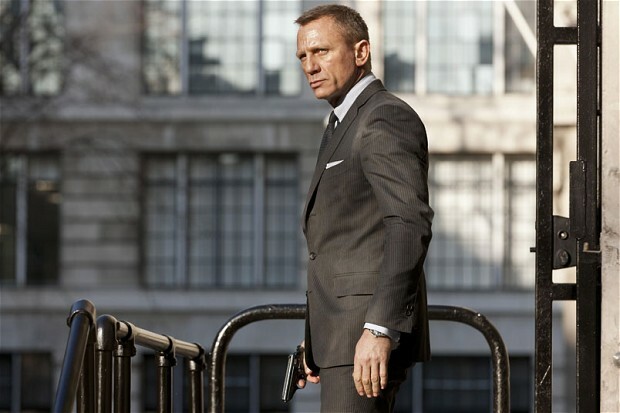 There are recurring themes in marketing Bond films over the past two decades. One of the most repeated is having the lead female actor talk about his character is Bond’s equal. It was uttered most recently by actress Lea Seydoux in an interview with Empire magazine in early 2015. We get it. Bond women are now strong and independent. Maybe it’s time to come up new marketing points. Strong women in Bond films are now a given. Frankly, I don’t see what else that can be done with the series. I think another reboot in order. Maybe include some sci-fi element or some kind of alternate universe in which the cold war never ended.